Where does the oil come from? Steam distillation is used to extract the oil, which is an age old process using only the leaves and twigs of the trees, without harvesting the entire tree. These coppiced trees continue to grow thus becoming self-sustaining and using more carbon dioxide and producing more oxygen for the benefit of the greater environment. 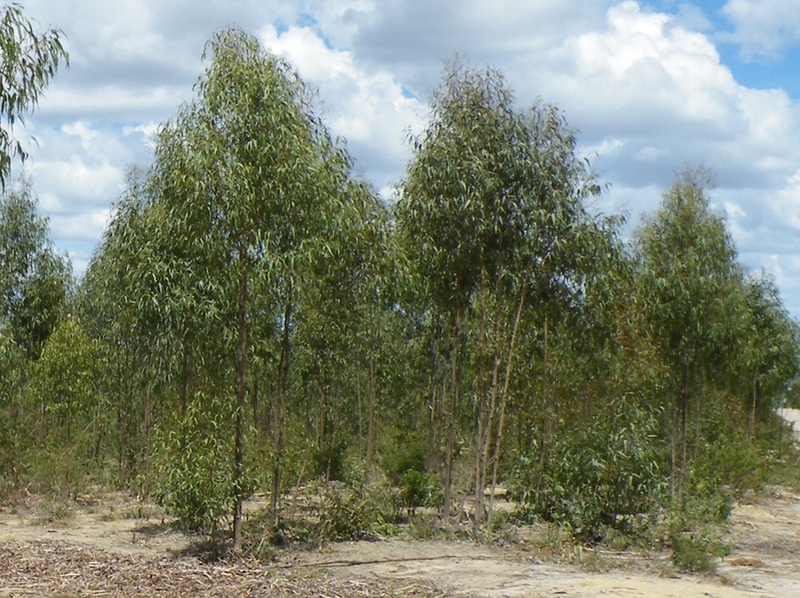 Eucalyptus citriodora trees are generally grown on small plantations. Seedlings are planted and tended by hand by local workers. No synthetic fertilizers are used; the soil is simply conditioned with lime on planting and every couple of years thereafter to ensure it provides the best possible conditions for growth. Waste leaf from the distillation process is used to improve the soil and to help to retain moisture. Weeds are often controlled by running cattle in the plantation - which also fertilises the soil. The trees and oil are not genetically modified. Leaves and branches are harvested by hand from the trees by teams of local workers including both men and women. Branches are cut selectively from each tree during the harvesting process so that the trees can continue to grow and produce new leaves for many years. Once the branches have been harvested, the twigs containing leaves are cut from the branches. The leaves and small twigs are steam distilled to produce Eucalyptus citriodora oil. The number of harvests each year is adjusted to ensure the on-going health of the trees. Once or twice during the 10-15 year life span of each tree, it will be cut to a stump and allowed to regrow. At the end of its life it will be cut down and a new line of trees will be planted adjacent. 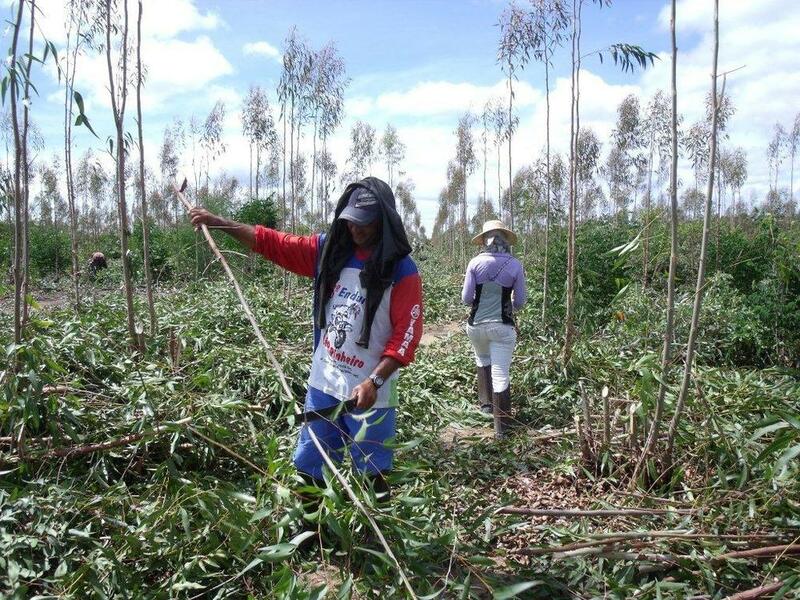 The trees which are cut down are used as fuel either on the plantation, specially treated for use as poles or sold to local businesses. Steam is passed through the vessel to distil the oil from the leaves. As the steam cools the water and oil separate and the oil is captured in drums. A closed water system is used in which steam, passing through the leaves, distils the oil, condenses, and is re-used once the heat has been extracted from it. Waste leaves (known as bagasse) and/or surplus twigs are used as fuel to fire the boiler which produces the steam and the bagasse is used to maintain the soil. No other fuel is required to run the boiler and in fact excess energy generated by the process may be used to run other equipment on the plantation. Workers on the plantations are nearly all local. Plantations provide good, stable jobs for both men and women and are important to the local economy. © 2017 Citrefine International Ltd. All rights reserved.